Today's guest is the super sweet and creative Margie Higuchi. Margie started scrapbooking in the mid-1970s! She "started with layouts, then moved on to altered arts and cards", and now "dabbles in mixed media". Margie is on the design teams for Core'dinations (making cards), KURETAKE ZIG (a new gig for her, yay! ), ScraPerfect and Scrap-mart.com. 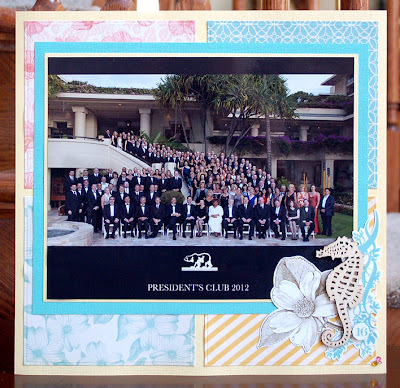 She "also works behind the scenes at Spellbinders Paper Arts as a member of the Web & Marketing Team and its Newsletter Editor." I can also tell you that she makes the most beautiful layered cards using Spellbinders dies. 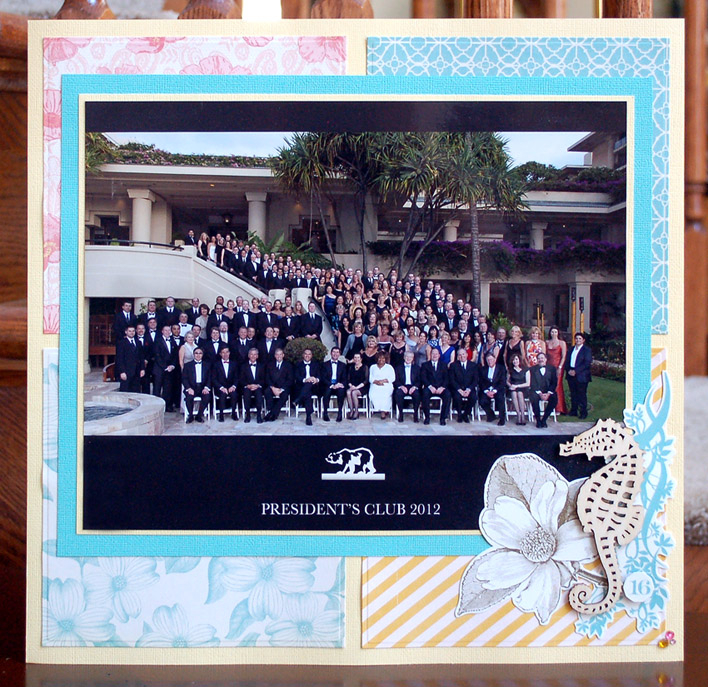 To make this page, Margie created a background with 6x6 papers. She cut the papers down a bit and then embossed them with Spellbinders Grand Squares die templates to give the papers a finished edge. She then adhered the embossed papers to a piece of cardstock. I love how she left some "breathing room" between the papers to let the cardstock show through. The wide photo mat makes this the perfect design for showcasing a large photo, especially when paired with a simple and beautiful embellishment cluster in the corner. I hope to see you tomorrow for one more idea. Thanks so much for stopping by to see Margie's contribution to the series. Please visit her blog, Scraps of (My) Life for more inspiration. 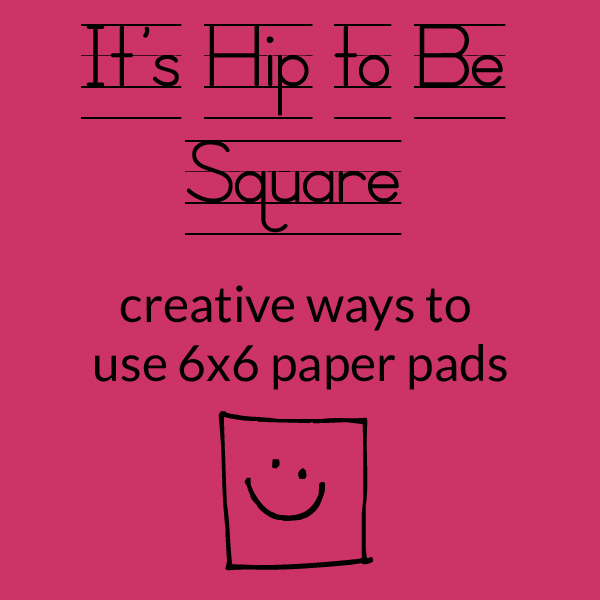 Lisa,THANK YOU for including me in your WONDERFUL feature :) I loved how you are showing fellow scrappers how to use up those 6x6 paper pads...I have such a pile of them! LOL!! 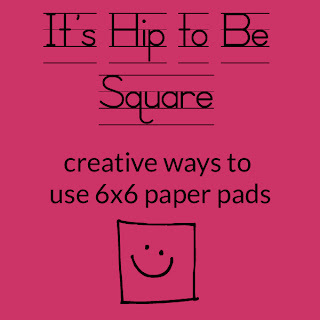 What an AWESOME way to use those 6x6 papers!!!!! I loveeeeeee that she cut them down a bit to give more of a grid feel to it!! BEAUTIFUL!!! Love this series-this layout is great, I love the grid look! looka awesome margie and what a neat thing to host on your blog Lisa!! Another great idea for those 6x6s! Love it! great idea! love the colors here. thanks for sharing. what a fun challenge, this is awesome! Nice page! That 4-square background grid is a favorite. Great way to use some of those 6x6 paper...which I just purchased yet another pack, lol. Great page - love the grid. That's a great idea to use the grid design. That was a great idea, I love the grid design. Wow - such a beautifu layout! !